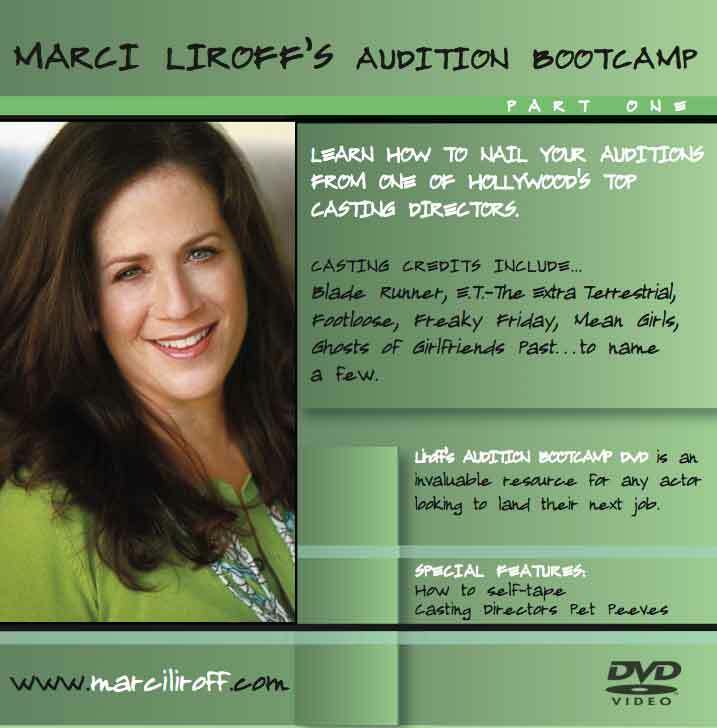 HOW TO AUDITION FOR FILM AND TELEVISION: AUDITION BOOTCAMP – this online class I created based on my DVD will take you through all the steps to learn how to audition well and book jobs. Integrated with my world renown blogs. Signing up gives you a lifetime of viewing access along. I will be posting new lectures throughout the years! TOP 10 MOST INFLUENTIAL SCREENWRITING BLOGGERS – dig deeper into the biz and read these insightful and often entertaining blogs by some of the best screenwriters around. CASTING BY – do yourself a favor and watch this documentary about legendary Casting Director Marion Dougherty. Truly a love letter of education about casting directors. EDITPLUS – need your reel edited? Need them to record your scene on a tv show and make a DVD? FEMALE FILMMAKERS TO FOLLOW ON TWITTER – what a goldmine of info! FOLKS IN THE BIZ – an eclectic list I curated of talented folks in Hollywood on Twitter. Goldmine! JOB BOARDS FOR PRODUCTION – are you looking for a job in production? Here are two great sites. 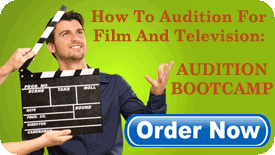 YOUTUBE – make sure you research the shows you’re auditioning for! SAG FOUNDATION – LIFERAFT LIVE/VIDEO SEMINARS – great seminars from pros in the industry. If you’re a member of SAG-AFTRA you can attend, OR watch at home in your jammies online! Lots of wonderful shows are archived. I’ve spoken at these events and found them to be very educational. ACTOR RATED – find an actor related business – coach, headshots, classes – all rated by those who use them daily – the actors! THE HEADSHOT TRUCK: The Headshot Truck is an all-inclusive, mobile photography studio where actors, professionals, and entertainers can get their headshots done. GOOGLE ALERT: want to track what your favorite director/CD/producer is doing? Set up a Google alert which will send you a notice every time their name is mentioned on the web. Great way to keep track of people you want to work with. Casting Directors Around the World With Websites – jackpot! 48 HOUR HEADSHOTS – Resource for Headshot Prints, Comp Cards, Postcards, and other tools to help advance your career. Ten Epic Film Monologues: Wow these are great! Here’s the Thing – one of my favorite podcasts. Alec Baldwin interviews actors, musicians, policy makers and owners of some of your favorite businesses (think Starbucks). There are about 4 seasons of archives. Highly recommend. Marci Liroff’s Actor’s Hub – Are you on Flipboard yet? It’s a very cool app, and you can also view it on your laptop. I collect articles for you that you may find interesting. Variety – Actors on Actors – your favorite actors interview each other. There’s a goldmine here! Everyone You Should Know on Set – this is a cornucopia of crucial knowledge of who does what on set. A “must read”. You should audit these classes to see which one works for you.